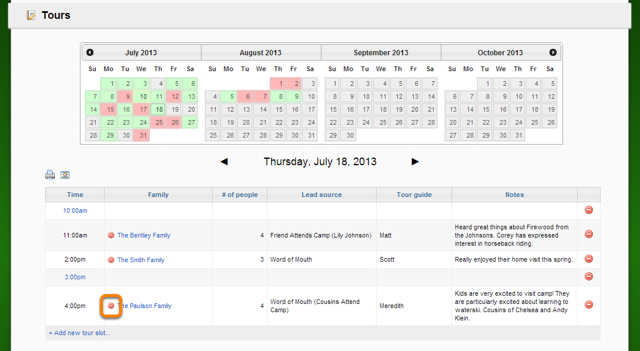 Tours can be scheduled for a family by clicking on the tour time slot, or through the Family Profile. 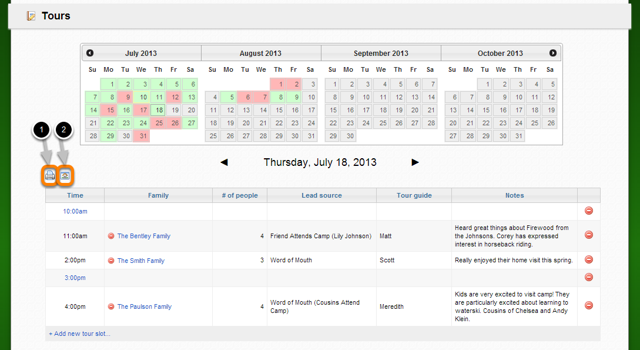 To book a tour through the Family Profile page, click the Home visit & Tour tab. 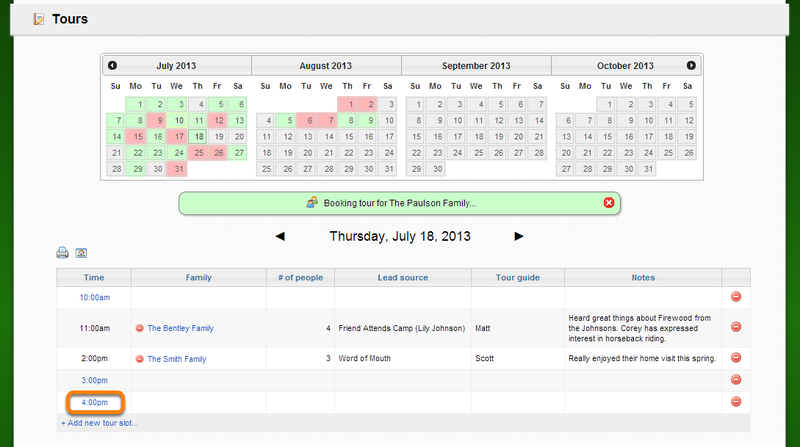 The tour calendar will open to the current day. 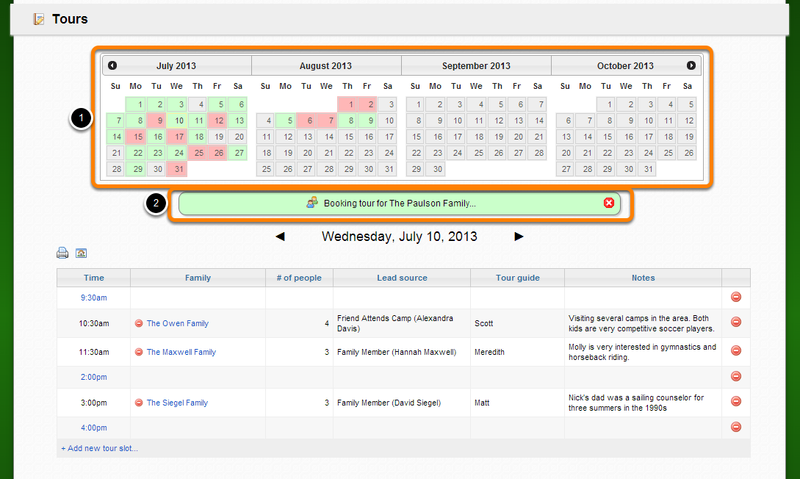 Select the date you wish to book the tour for. The color of the date on the calendar indicates tour slot availability: green days have tour slots available, red days have all tour slots booked and gray days do not have tour slots set up. If you opened the tour calendar from the Family Profile page, a green box will indicate the family you are booking the tour for. Click the time you wish to book the tour for. A pop-up window will open for you to enter information about the tour. The Family name will appear automatically if you opened the tour calendar through the Family Profile page. 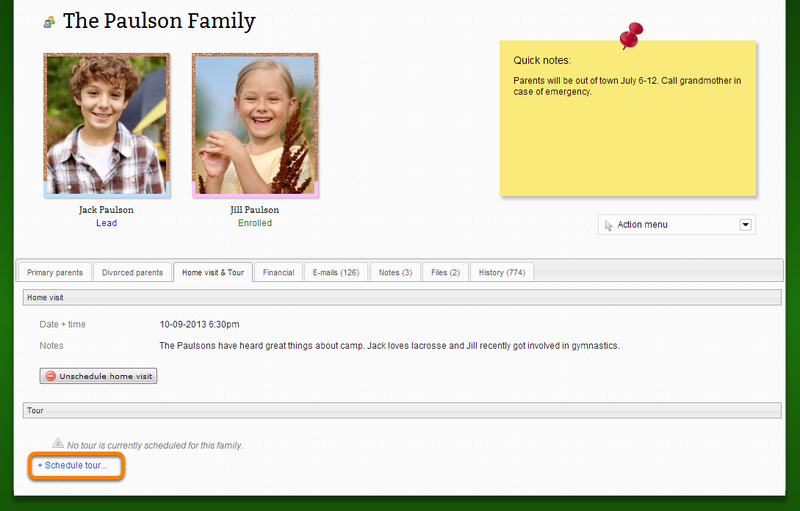 Note: Double-click the red "X" if you would like to schedule the tour for a different family. 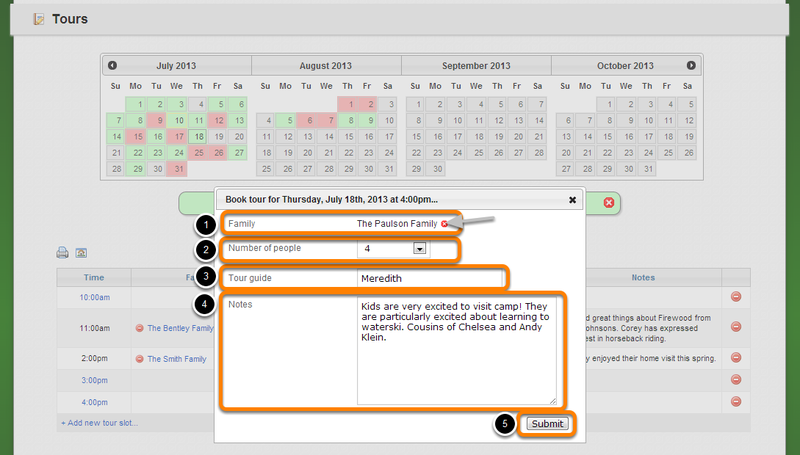 If you are booking directly through the tour calendar, enter the name of the family you are booking the tour for. The tour is now scheduled. 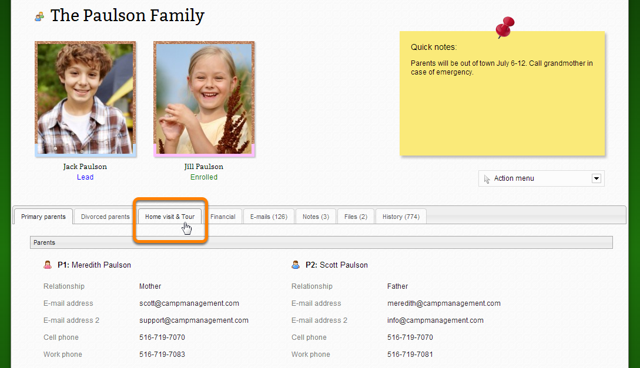 The number of people, tour guide, or notes can be edited by double-clicking within the appropriate column. Double-click the red minus sign next to the family name to unschedule the tour.